Apartment la Dolce Vita is located in the historic centre of Orvieto, within walking distance of the exit to the moving staircase that connects the convenient car park of the Forum Boario to the heart of the city. 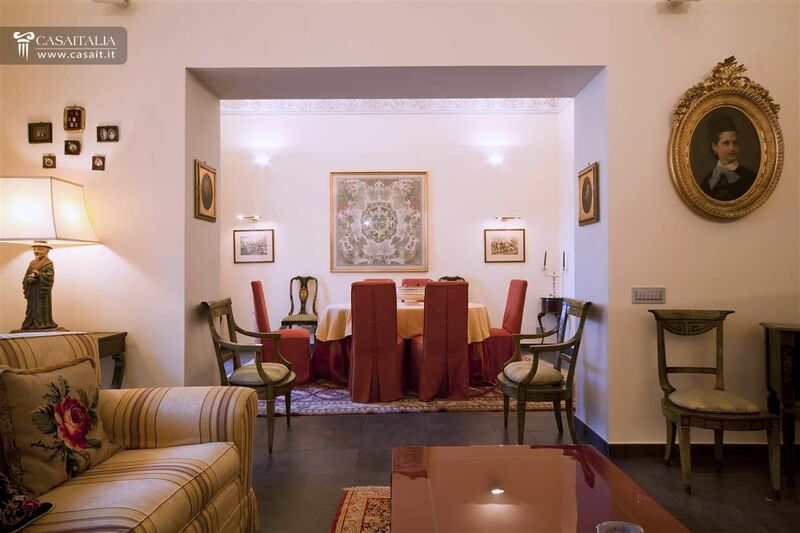 It consists of an independent portion of a historic building, dating back to 1700, and is divided into two apartments with common entrance areas, a terrace and a small courtyard. 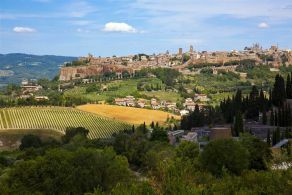 We are in Umbria and, at the same time, very close to Lazio and Tuscany, which are easy to reach thanks to the A1 motorway , just 5 km away, taking you to Rome (115 km) or Val d'Orcia (Pienza 78 km) in about an hour. 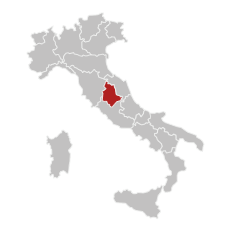 The international airports of Rome Ciampino (136 km) and Rome Fiumicino (149 km) are about an hour and a half away by car. 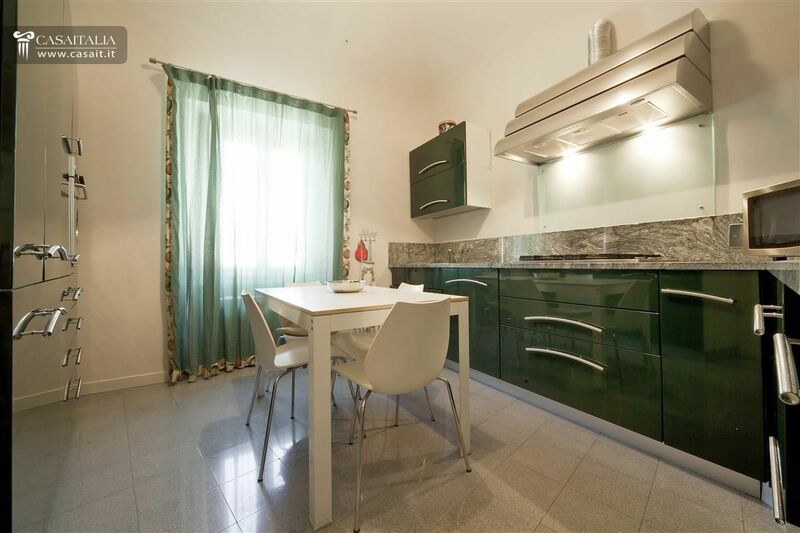 The property consists of two apartments. 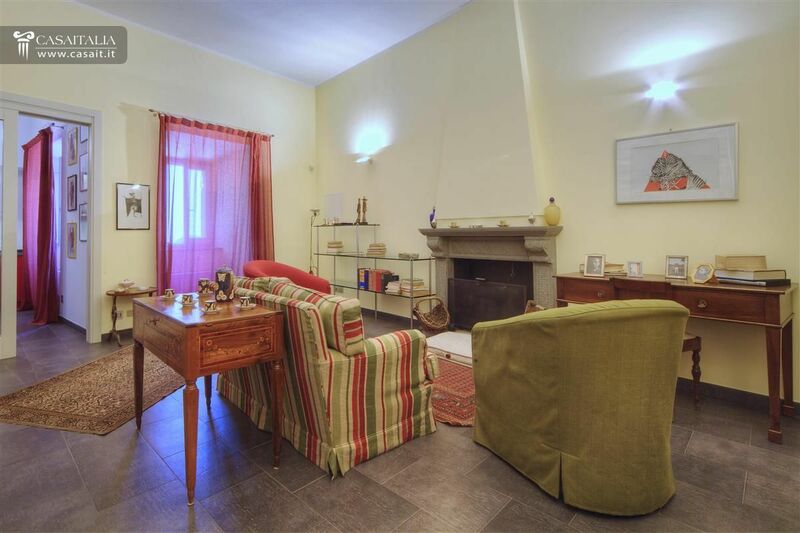 One is on the first floor, with a living area of about 87 gross sqm and another, on the second and attic floors, with a living area of about 250 gross sqm and a nice 44 sqm terrace. 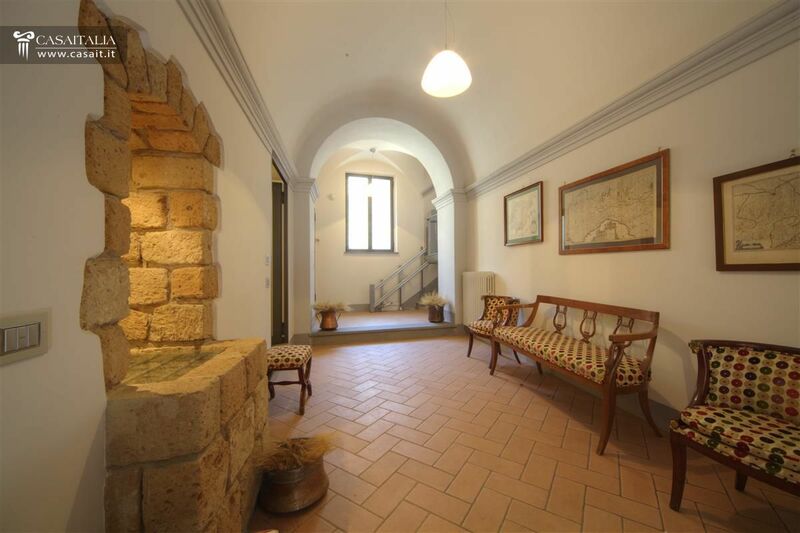 The property is completed by a main entrance to two the two apartments, three storage rooms on the ground floor, measuring about 86 gross sqm, and a small courtyard, which is in common with the neighbour next door. 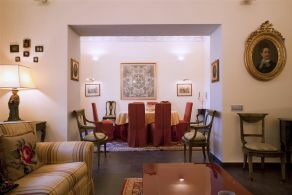 The entrance is on the second floor, where the living area consists of a living room, a dining room, a study/bedroom, all with access to the terrace. At the back, there is a kitchen with a storeroom/pantry, a bedroom and two bathrooms, of which one has a Teuco whirlpool shower. 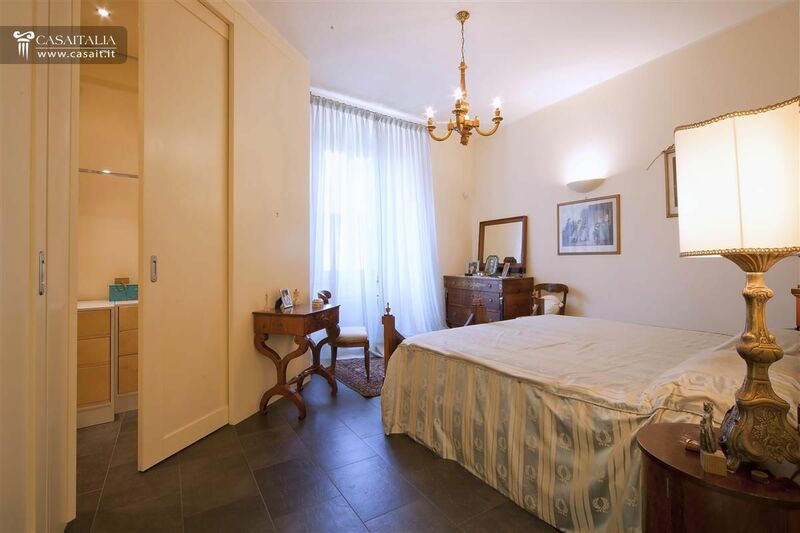 The upper floor consists of a spacious attic utility room (max h 2.65 m) and a bathroom. 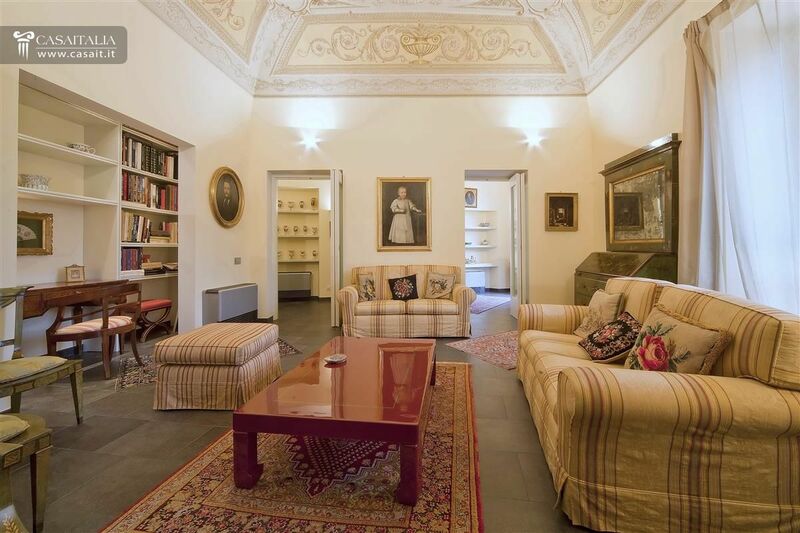 This is on the first floor of the building and consists of a living room with an original fireplace dating back to 1700, a kitchen, a bedroom and a bathroom. 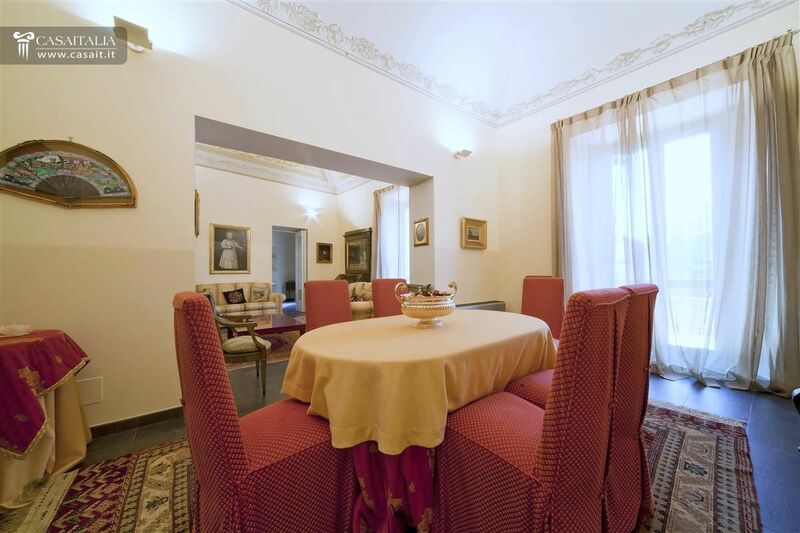 The property has been recently refurbished with the utmost care and is in perfect condition internally, while the exterior facade needs restoration. The living area, which overlooks the terrace, is very spacious and bright and has decorated ceilings, partly original part and partly created from scratch. 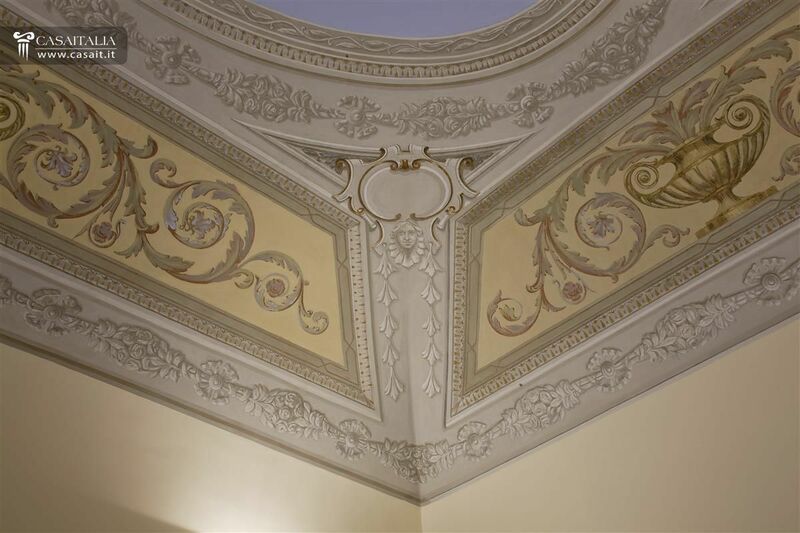 Carefully chosen excellent quality materials were used for the finishes. 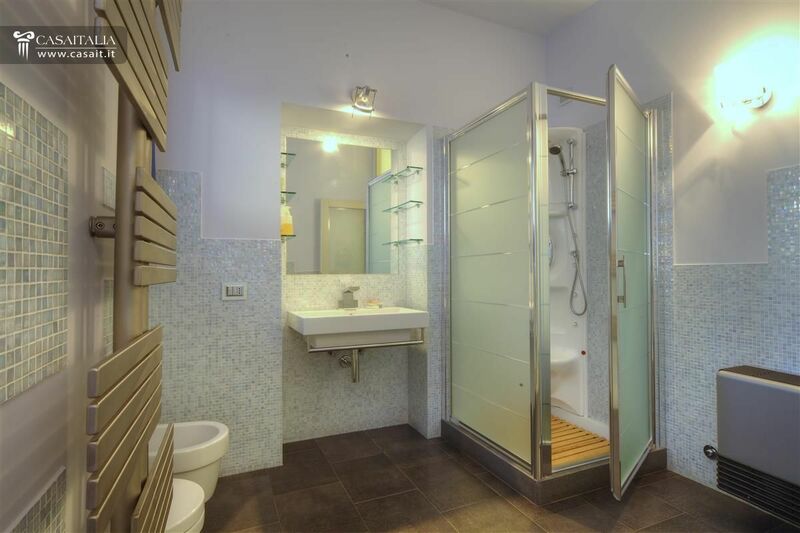 In some cases, a high tech-modern element was added (staircase in glass and steel, Murano mosaic bathrooms) but blends perfectly with the original architectural style of the building. 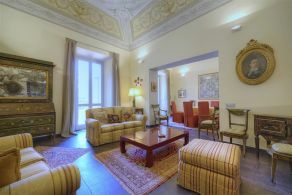 From the living areas of the main apartment, you can enjoy a large terrace, measuring 44 sqm. 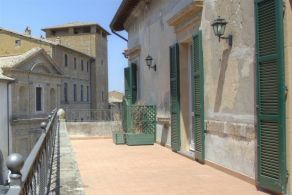 This is a pleasant rarity in Umbrian towns. 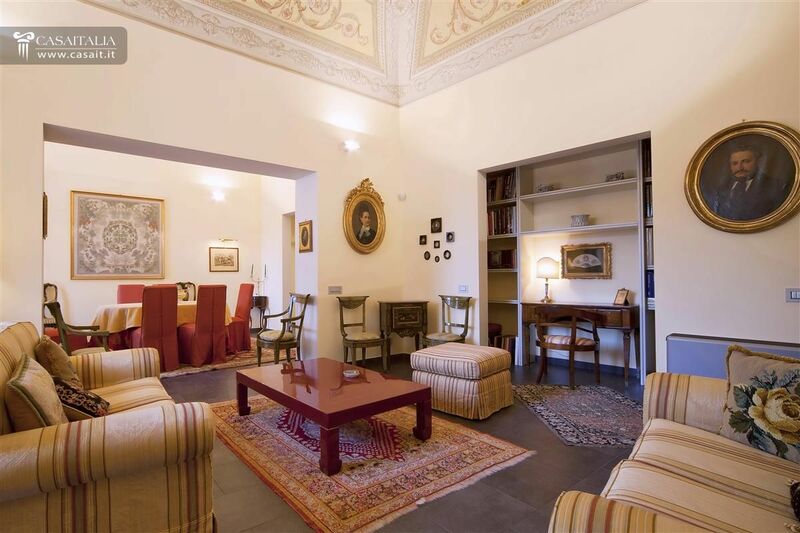 In addition, on the mezzanine floor, which can be accessed from the main entrance of the building, there is a small courtyard, use of which is included with the property and the nearby neighbouring property. La Dolce Vita is an excellent investment for those seeking a beautiful dwelling, either as a main residence or for holidays, in the centre of a medium-sized historic town, in which you can move around without a car and which is also perfectly connected to the main roads. 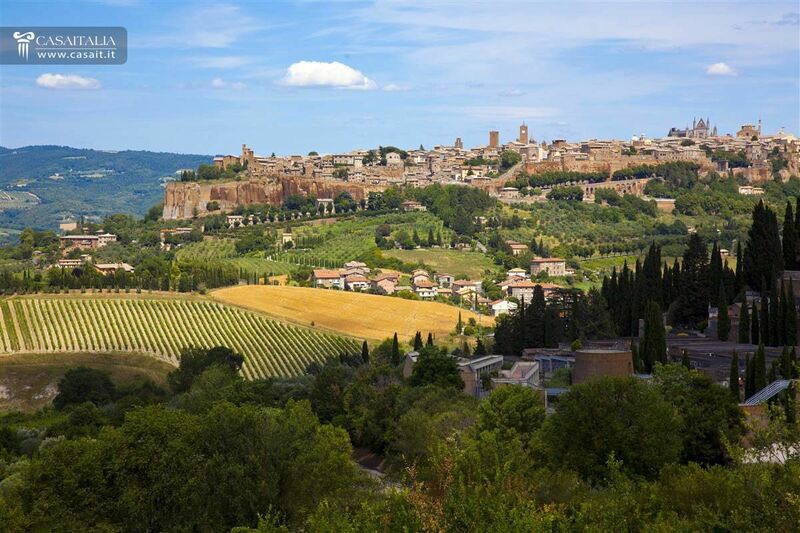 The area of Orvieto is a very popular international tourist destination and this means that you could also earn an income from the property, by renting it out during periods of non-use or, as it is divided into two apartments, by renting one part only.